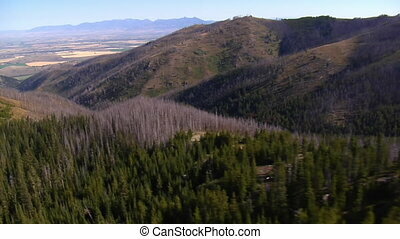 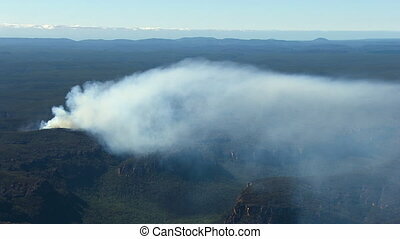 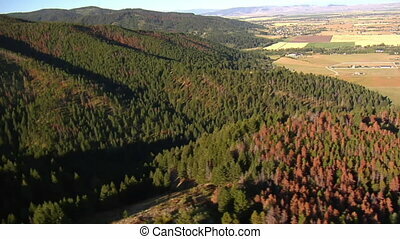 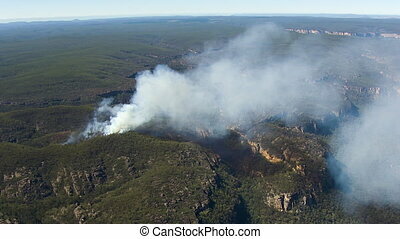 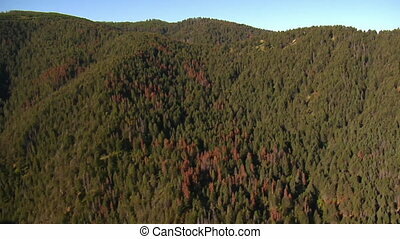 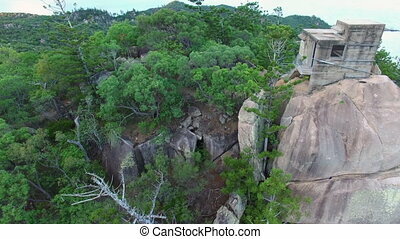 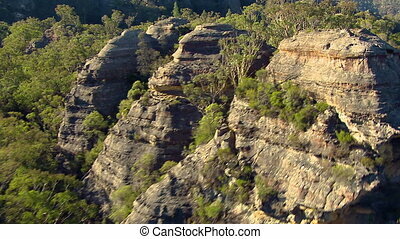 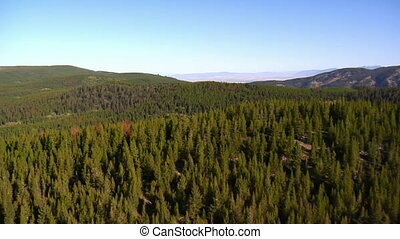 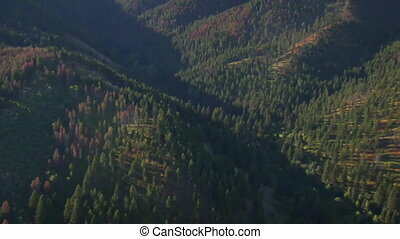 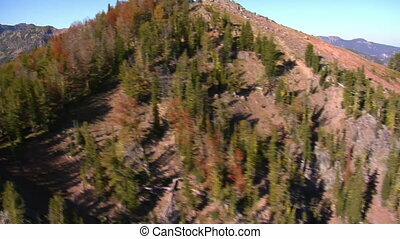 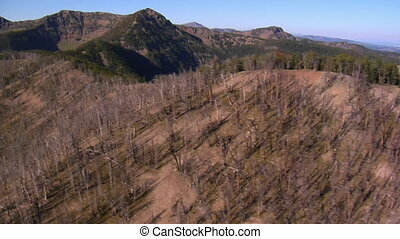 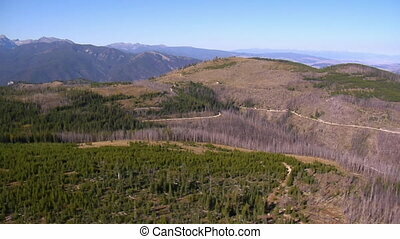 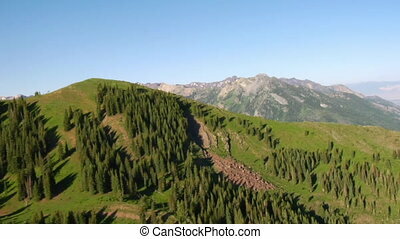 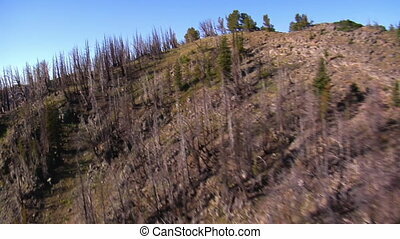 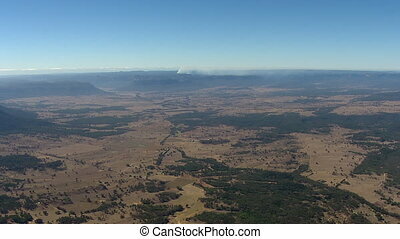 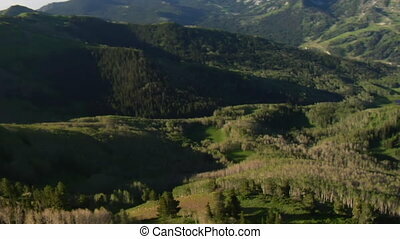 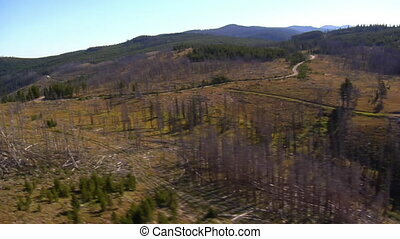 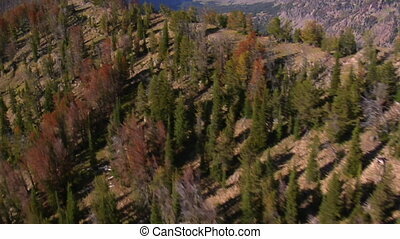 Aerial shot of forest and mountains with dead trees. 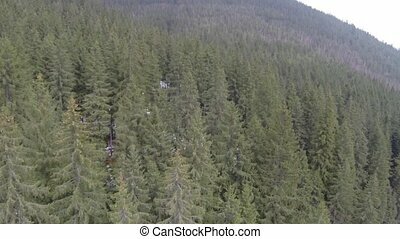 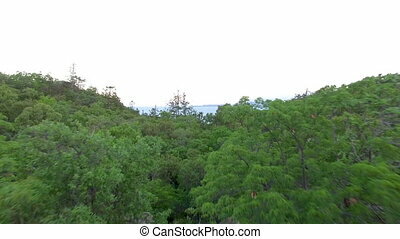 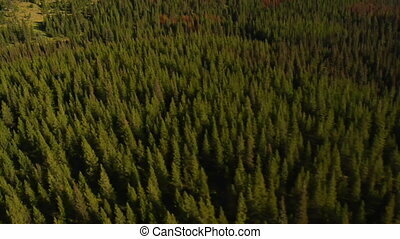 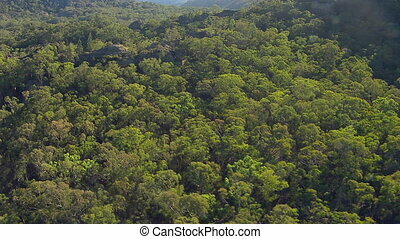 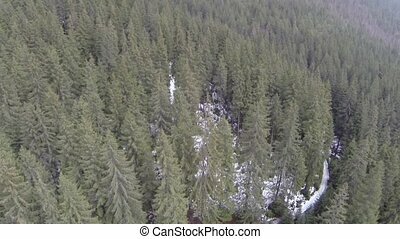 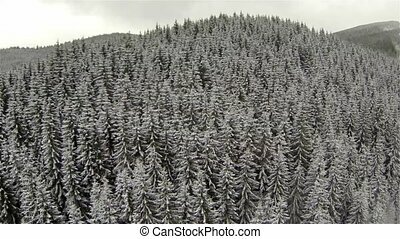 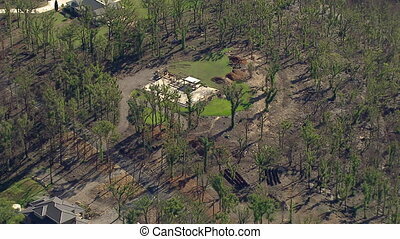 An aerial shot of a forest. 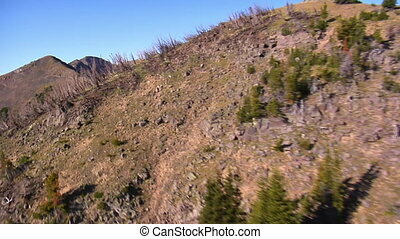 Camera quickly moves forward and rotates to the left. 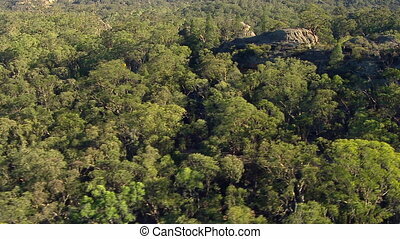 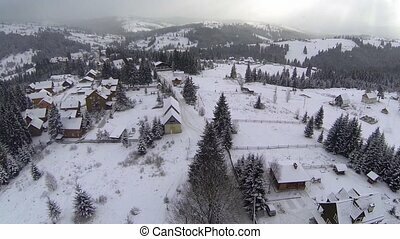 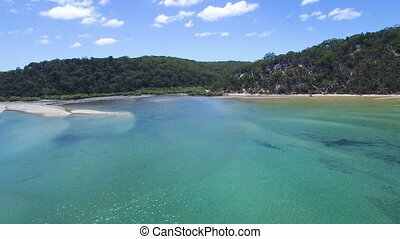 Aerial shot. 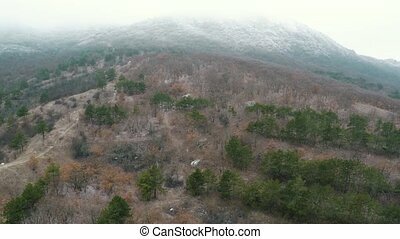 Flight over the mountains with mixed forest.